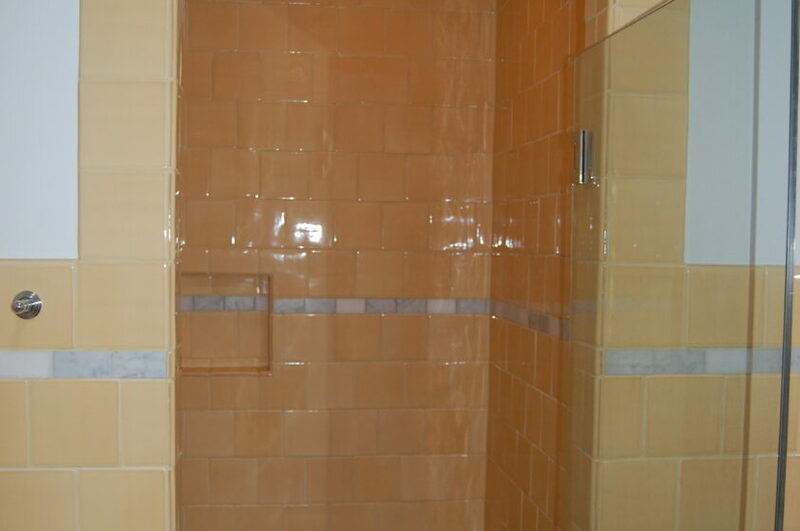 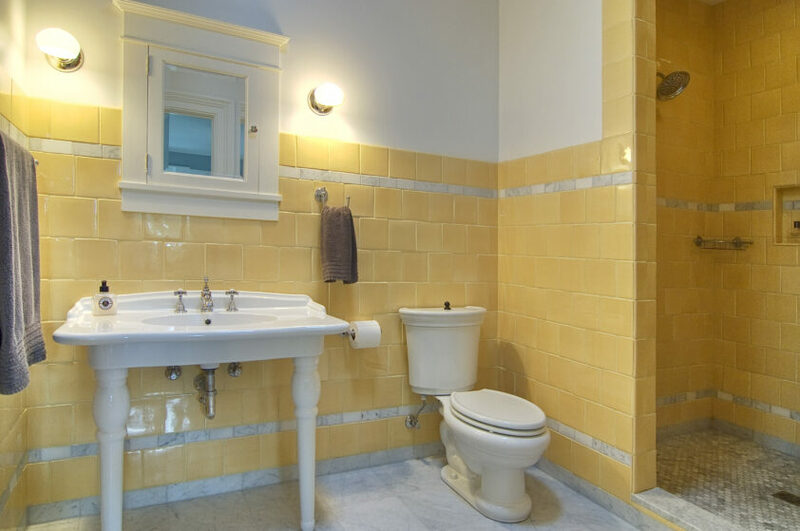 Project notes: Yellow bath- a bright handmade Mexican tile gives this bath a rich look. 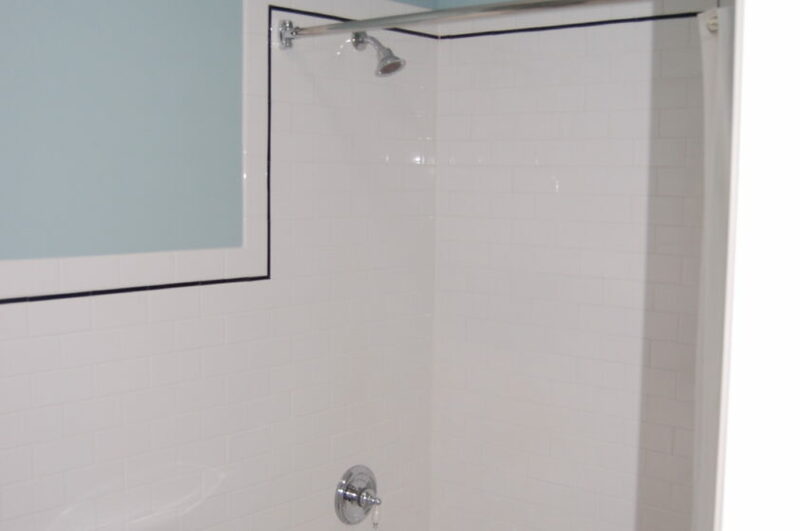 white bath- a simple white subway tile with a pencil tile border give a clean look to this bathroom. 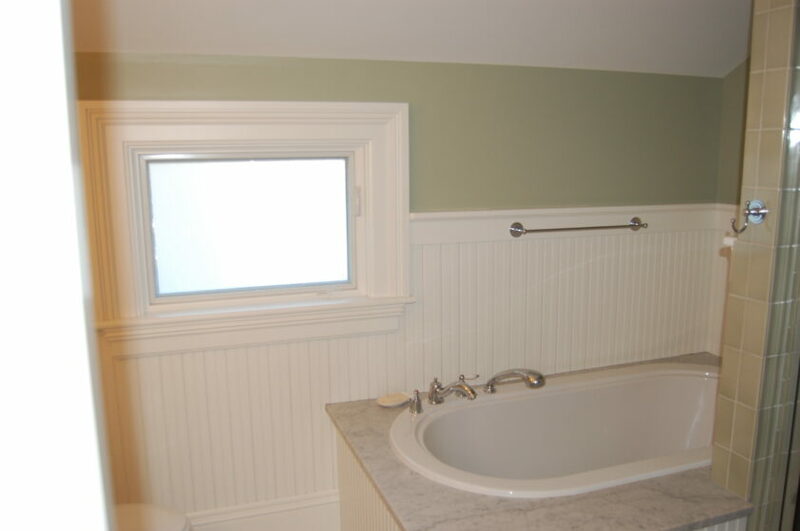 built in tub- a painted wood wainscot around the tub gives the area a country feel.